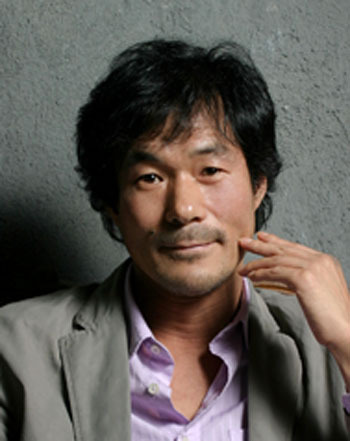 Along with [OH Dal-soo], OH Gwang-rok is a major character actor often seen in supporting roles in Korean films. Playing an anarchist who kills the protagonist in <Sympathy for Mr. Vengeance>, he made a long-lasting impression on the audience. Following that, he appeared in the rest of the vengeance trilogy by director [PARK Chan-wook], <Old Boy> and <Sympathy for Lady Vengeance>, proving the director’s trust in him. In the comic film <She’s on Duty>, he fully showed his comic side as the insane boss of a gang. In the film, he enjoys writing and reciting poetry so much that the every line he speaks seems to have a poetic rhythm to it, which distinguishes him from all the other characters. Recently, he has completed a short film shot with an iPhone 4, also directed by [PARK Chan-wook], who is an old friend of his. More in demand than ever, OH subsequently appeared in a raft of films, both in the indie and commercial realms. Among indie works there was YOO Ji-tae’s debut film <Mai Ratima> (2012), the baduk (Korean chess) gangster drama <The Stone> (2013), PARK Chul-soo’s <Eating, Talking, Faucking>, LEE Jang-ho’s spiritual <God’s Eye View> (2013) and the Korean Academy of Film Arts feature <Alice in Earnestland> in 2015. On the commercial side, he was seen in a wide variety of roles, including a doctor in <Countdown> (2011), a detective in <Killer Toon> (2013) and a father figure in sci-fi <AM 11:00> (2013).